Timothee Chalamet and Steve Carell in Beautiful Boy. Film still photograph courtesy of Amazon Studios. Based on a true story, director Felix van Groeningen’s powerful film “Beautiful Boy” follows a teenage boy suffering from a crystal meth addiction. Although the film, released in Sacramento last month, is centered around Nic’s struggle with illness and addiction, there is an overarching theme of the great lengths some parents will go to save their children. The film is a powerful story about addiction and illness and its impact on a family. “Beautiful Boy” was adapted from the memoirs written by veteran journalist David Sheff and his son Nic, both of whom wrote about the drug addiction that almost killed Nic in his teenage years and nearly destroyed his family. The acting alone was enough to make this film great. It was believable and at times gut-wrenching. I was completely encapsulated by the characters on-screen and the story that was being told. Steve Carell’s adaptation of David Sheff was breathtaking. I truly believed that his character would do anything to have his son freed from the grip of addiction. His emotions shined through from start to finish. Nic is played by Timothée Chalamet, in what film critics Benjamin Lee and Steve Pond have called an Oscar-worthy performance. Crystal meth is a drug that can change a user’s personality drastically, according to the Substance Abuse and Mental Health Services Administration, and Chalamet convinced the audience that his character’s meth use changed the once bright surfer into an addict. Films about drug addiction can often fall short. Some movies only scratch the surface of the issue and some leave audiences with terrible examples of what addiction does to people. “Beautiful Boy” not only addressed the impact of addiction but it also brought forth the idea that relapsing is a part of recovery. This made the film’s plot seem far more realistic. Nothing in this film was sugar-coated. The film opens with a scene of David admitting to an expert that his son is addicted to crystal meth. This added a refreshing, matter-of-fact element to the entire movie. This film’s cinematography and score are what made it truly great. There are a few scenes featuring only one character and the camera lingers for a longer period of time on just their face. The audience is able to follow the thought process and emotional journey of each character with close up shots like the ones in this poignant film. “Beautiful Boy” is, without a doubt , a strong example of what all drug dramas should strive to be. 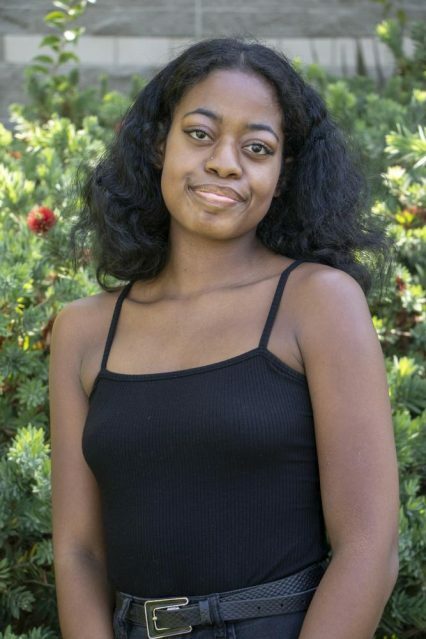 Imani Smith is a third year student at American River College. This is her first semester writing for the Current. Imani is a journalism major looking to transfer to a California State University this upcoming year in the fall. Outside of school she can be found procrastinating on school assignments or aimlessly scrolling through twitter for hours. Be the first to comment on "“Beautiful Boy” chronicles the pain of drug addiction"